Obtained from pasteurized cream by almost total elimination of water and non fatty solids. Pure grade is achieved by the proper technological process. Pure and clean odor, free from abnormal flavors, uniform yellow colour, liquid or solid form. 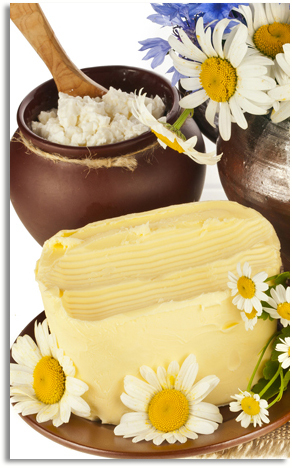 Recombined dairy products, confectionery, bakery and pastry, ice-cream, sauces and spreads.